There were frogs on his bed, and frogs on his head. Frogs here, frogs there, frogs were jumping everywhere. We’ve come a long way from the Passover seders of old, when grandpa droned on for three hours in Hebrew, pausing only to say “Sha!” to any child who dared utter a peep. From child-friendly haggadahs to “bags o’ plagues” to liven up the story, we have lots of ways to keep our youngsters involved and connected to the seder. But we need to remember that Pesach is an adult holiday, not a kids’ holiday which adults just observe. Adult themes and adult concerns are the center of our observance, and we must not ignore them while we entertain the youngsters. Pesach is about the struggle between good and evil. It is about the triumph of freedom over slavery. It is about justice, even if that justice is a long time coming. It is about hope. Pharaoh was not just someone with a different-but-equally-valid-world-view. He was a tyrant who saw human beings as expendable tools, valuable only for the work they did. He enslaved the Israelites, and many other peoples, for generations. When he felt threatened he ordered the murder of their children. He was evil. Is it any wonder that “The Song of the Sea,” the majestic poem the Israelites sang when they came through the Reed Sea safely and saw the Egyptian soldiers drown, is a war poem? “I will sing to the Eternal, for God has triumphed gloriously / Horse and driver God has hurled into the sea!” In later generations, our rabbis who lived among gentile majorities sought to minimize the Israelites’ celebration, writing a midrash which says that when the Egyptians drowned, the angels in heaven started to sing. God is said to have rebuked them saying, “How can you sing while My children are drowning?” But why wouldn’t they sing? A tyrant’s army had been destroyed, and his slaves were getting their first taste of freedom. My friend and colleague, Rev. Mike Riley, recently described one of the challenges facing those of us who consider ourselves religious moderates, as opposed to fundamentalists. He said we often turn ambiguity into an idol, and he is right. Yes, it is important to acknowledge that those with whom we disagree are not necessarily evil; that is a lesson we Americans could stand to learn these days. But it is equally important to acknowledge that some people really, truly are evil, even if they themselves don’t feel that way. The Islamic fundamentalists who close schools, whip women who dress “immodestly” and kill those who disagree with them are evil. Governments that censor books, newspapers and the Internet in the name of “stability” are evil. The racists and bigots in our own country who call for the expulsion of everyone who is not racially pure in their eyes – and who back up their threats with stockpiles of weapons – are evil. At times, the forces of evil seem to be so overwhelming that we choose to rationalize their actions rather than face the cold, hard truth that there really are bad people in this world. Not every idea is equally valid, and those of us who understand this need the strength and courage to stand up to those who teach hatred. 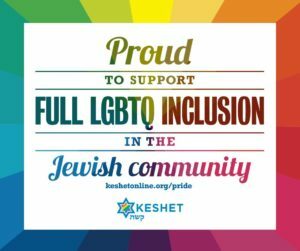 When people refer to Jews as kikes, or our Arab neighbors as sand niggers, or gays as faggots, we are not free to say, “Well, everyone’s entitled to their opinion.” Because yes, within certain limits people in our country are free to say what they want, but that means that we are free to say they are wrong… and we should. That is what Pesach is really about.